It seems the infamous memo had indeed threatened to tear down the very security of this country; I wonder why our enemies never figured out this way of neutralising our security apparatus. I am sure our honourable justices know their law very well, and would doubtless have painstakingly stuck to it while reaching their decision of admitting Nawaz Sharif’s petition and constituting the judicial commission to probe into the mystery. The thing with justice is that in addition to being done, it must also be seen to be done. On that count, the Supreme Court’s dispensation of justice in this matter in such an urgent manner raises more than an eyebrow or two, to put it mildly. Also, justice has to be across the board, or else it is not justice to begin with. On the issue of justice, perceptions are very important. Post 1971, Bhutto, Junejo, Benazir, and Sharif were prematurely removed from office; only Nawaz Sharif was restored by the honourable courts! This history doesn’t make the job of the present justices (although most of whom had nothing to do with these decisions) any easier. Even if this history doesn’t justify these perceptions, it at least explains them somewhat. Similarly, there is a growing perception among the people that legal cases against say Nawaz Sharif cannot be heard in Pakistan, especially the Punjab, hence the unfortunate LHC(N) and SC (Sharif Court) insinuations. I am sure it is not true of the new unbiased judiciary, but this perception is there nonetheless, and something has to be done about it. Resolution of these perceptions is an uphill task, but we are looking towards the collective wisdom of our honourable justices to achieve it. Justice Chaudhry, by refusing to buckle under the pressure of a military dictator in 2007, earned genuine and unprecedented respect from the whole nation. What he did wasn’t easy and he could easily have lost his life while standing up to Musharraf and his whole military machinery. Justice Chaudhry displayed both courage as well as wisdom by not giving in to a bully, something that even the otherwise pugnacious Dr Khan couldn’t do. Justice Chaudhry’s defiance was a source of pride for every Pakistani, and he is still widely respected and popular for that. Like Justice Chaudhry, Sharif also remains popular despite the latest tsunami that has hit the Asian subcontinent. There is, however a big difference between Sharif and Chaudhry: Sharif is a Pakistani politician and, therefore, is neither expected nor obliged to conform to the highest levels of consistency and transparency. Justice Chaudhry, being the deserving head of the highest court of justice, is. The Supreme Court not only must not dabble in politics (I am sure it doesn’t), it must also be seen not to be doing that. The army chief and Sharif are widely credited – perhaps accurately – for the restoration of wrongfully deposed judges. However, if the free judiciary is seen to be soft on the two parties, it gives an ironic twist to the whole process of restoration of free judiciary, doesn’t it? We already have an institution that can’t keep itself away from politics, despite it being none of its bloody business. We sure can do without another one. I am delighted to note that the court of Justice Chaudhry has banished, once for all, the doctrine of necessity. It will be a great day when the bogeyman of national security will also be dispensed with, and petitions such as Asghar Khan’s regarding the ISI’s dispersion of Mehran Bank funds for the benefit of Sharif also start receiving similar attention from the judiciary. Asma Jahangir is correct about the big elephant in the room that goes unnoticed remarkably regularly. So much so that Yahya Khan (of all generals!) was buried in national colours, and Musharraf was given a 21 gun farewell. True, the judiciary was not free in Yahya’s time but now, thankfully, it is. In case of Musharraf’s crimes, it is still not too late. Who knew, for example, about the secret agreements, the air bases, the NRO guarantors, amongst his close aids? Consistency would demand a thorough investigation, as well as putting the names of a few generals on the ECL until free and fair legal proceedings conclude. Someday, maybe! With thousands of legal cases of ordinary citizens waiting to be heard for years on end, and the ordinary man having lost all trust in the institution of judiciary for redressing his legal troubles, the judiciary has its plate full in terms of things to do. With this background, urgent dispensation of selective high profile cases is not only justice that won’t be across the board, it will also be nothing more than putting lipstick on a pig as far as the legal troubles of the ordinary Pakistan are concerned. The writer is a member of the band Beygairat Brigade that has recently released the single Aaloo Anday. 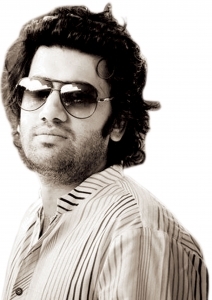 Ali Aftab Saeed is a singer and director of Mishermayl Productions. He tweets at @aliaftabsaeed. I think Judges had little choice to make as all key figures wanted an investigation. You can say political players didnt show maturity on this issue. Consider justice is blind. The judiciary is biased….that is the perception…Asma Jehangir should be given credit for exposing the biased judiciary….! Why Judges are not composing a commission for looking into bullet-drilled bodies of Baqloch?? ?Why The chief Justice…A Real Taliban…is not investigating into the reality the strategic depth policy whereby thousadns Pashtuns have been killed and the alive have handed over to ideological wolves of Taliban??? ?Why the So called supreme court is not investigating that earnestly and seriously into the case of Abbottabad…and take my words that if the commission composed for that purpose will come to the forward with a result that is perfectly favourable to the so called PAk Fuaj of Pakistan with hurling every curse on America in ideological cover.What you can expect from The court whose chief is mentally an orthodox and fanatic. what is the problem with my comments????????????? Well calculated and to the point, well done Ali Aftab. What you have written is 100% true based on the facts. This so called free judiciary should pay attention to eliminate severe corruption from within the Judiciary rather playing puppet to NS. Justice Chaudhry why dont you one day open your eyes and look at your face in the mirror before its too late. The author and Asma Jehangir are totally biased for blaming the Supreme Court for everything. Hussain Haqqani is no innocent child. The current government has totally ruined the image of democracy in Pakistan.